The Department of Health and Human Services has delivered its North Carolina Medicaid Transformation Seven-Year Forecast legislative report, required by Session Law 2018-5 Section 11H.9, to the General Assembly and its Fiscal Research Division. This report provides a detailed forecast for the transition to Medicaid managed care for state fiscal years 2019 to 2025. For a brief summary of the report, an Executive Summary is included. This interview is part of a new collaborative series made possible by Business of Healthcare (BOH) and the North Carolina Medical Group Management Association (NCMGMA). These interviews further our mission to provide high-level continuing education content for our members while highlighting key players and issues in North Carolina’s healthcare industry. Mandy Cohen, MD, MPH, Secretary of the Department of Health and Human Services for North Carolina, spoke with Business of Healthcare about the state’s transition to Medicaid managed care as well as efforts to impact social determinants of health and curb opioid abuse. The interview was recorded live with 200 physician practice leaders at the North Carolina Medical Group Management Association Fall Conference. Dr. Cohen will also be one of our Advocacy Days speakers on March 13, 2019 in Raleigh, NC. for helping to make this interview series possible. Upcoming interviews in the series feature Jeff James, Chief Executive Officer of Wilmington Health; and Chad Price, Founder and Chief Executive Officer of Mako Medical Laboratories. If you are interested in being interviewed or have a tip on someone who would be a great interview candidate, please contact Melissa Klingberg in the NCMGMA offices at melissa@ncmgm.org. Takeaways from the August 9th DHHS Stakeholder Call with Mandy Cohen, M.D. On Thursday, August 9th, the NC Department of Health and Human Services (DHHS) held a stakeholder call led by DHHS Secretary Mandy Cohen, M.D. The call addressed DHHS’s upcoming issuance of the Request for Proposal for Prepaid Health Plans (PHP) in Medicaid Managed Care. In short, DHHS has issued an official RFP for managed care carriers. They will accept proposals until October and announce their final selections in February. Managed care will officially begin in the fall of 2019. PHPs cannot refuse to contract with you. Physicians and physician extenders are guaranteed payment at current rates. DHHS has worked to mitigate administrative burden for clinicians. PHPs will have real accountability and rigorous oversight. You will receive education and support during and after the transition to managed care. Now and ongoing — PHPs may start to reach out to initiate contract discussions with clinicians. February 2019 — DHHS will announce which health plans will be PHPs in managed care. Summer 2019 — PHPs must have contracted with enough care providers to meet DHHS network standards. July 2019 — PHPs must have all call centers operational and all relevant staff located in North Carolina. July – September 2019 — Managed care will start in two phases. For regions of the state in Phase 1, this will be the window in which beneficiaries select a PHP. November 2019 — Medicaid Managed Care program will launch in regions in Phase 1. October – December 2019 — For regions of the state in Phase 2, this will be the window in which beneficiaries select a PHP. February 2020 — Medicaid Managed Care will launch in regions in Phase 2. For additional information on Prepaid Health Plans in Medicaid Managed Care, there is a two page fact sheet available on the NC DHHS website which contains more details specific to the provider community, with even more information for all stakeholders on the full website. The North Carolina Department of Health and Human Services is seeking public input from April 25 to May 25, 2017, at 11:59 p.m. on the Medicaid and NC Health Choice programs transformation (also known as “Medicaid reform”). For specific information and sample questions on each of these topics, refer to the Request for Public Input document on the DHHS Medicaid Reform website. I strongly encourage you to share your expertise with the Department as we consider whether modifications are needed to the Section 1115 waiver application submitted June 1, 2016, to the Centers for Medicare and Medicaid Services. Your input is crucial to ensure Medicaid is transformed to support North Carolina health care professionals as they strive to improve the health for people in our state. May 16, 6-8 p.m., Raleigh – McKimmon Conference & Training Center, 1101 Gorman St.
Drop-off: Department of Health and Human Services, Dorothea Dix Campus, Adams Building, 101 Blair Dr., Raleigh. 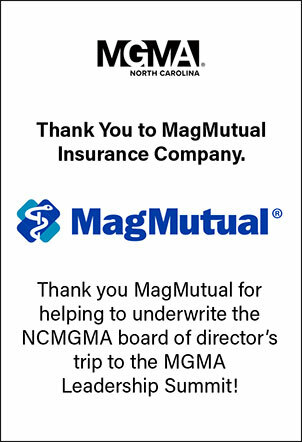 Thank you for partnering with the Department and the North Carolina General Assembly on this significant transformation effort. For Medicaid transformation information and progress updates, visit https://www.ncdhhs.gov/nc-medicaid-reform.